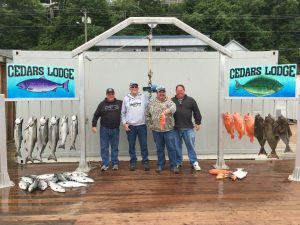 We made some big changes in 2016, most notably was buying another charter boat. 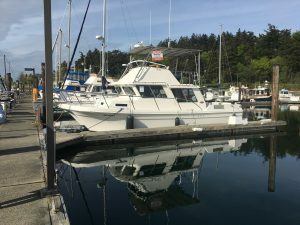 The KO’OLINA is a 32 foot Sea Sport Catamaran that we purchased in Anacortes Washington and had shipped up to Ketchikan in May. 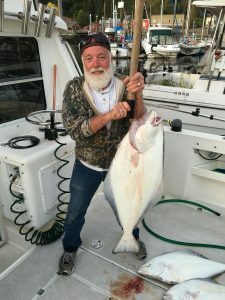 She is 13 feet wide which makes for an incredibly comfortable and spacious fishing platform. 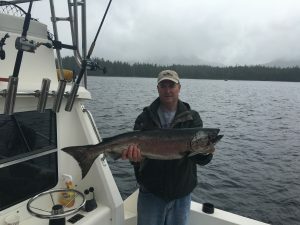 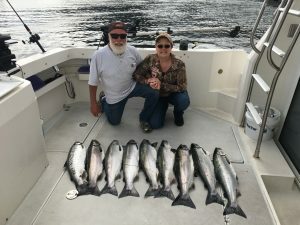 The first salmon trip of the year we scored this nice King!